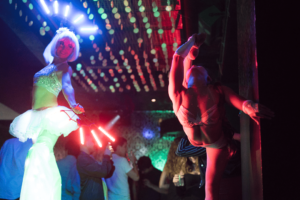 We were pleased to provide the circus entertainment for Bijou Nightclub’s circus-themed night. Contortionists, jugglers and stiltwalkers and more! Photo Credit: Daniel Nieto. 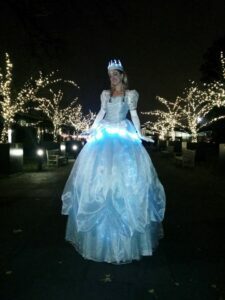 Cirque de Light has joined the New York Botanical Garden again this year for their Bar Car Night Series. This time, we’re bringing the ice instead of the fire. We had a great time filming with WGBH for their upcoming documentary on WaterFire Providence. PC: Wolf Matthewson. 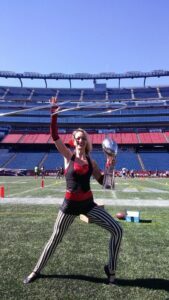 We joined forces with the Boston Circus Guild and the Crohn’s and Colitis Foundation of America to bring some circus entertainment to their fundraiser event at Gillette Stadium. Somebody even trusted us with this important trophy!